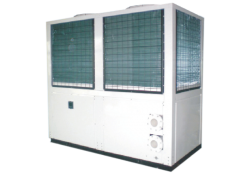 Heat pump is a device in which the refrigerant R410A is continuously changing the shape from gas to liquid. 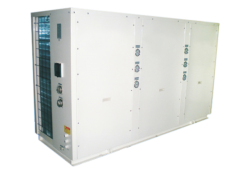 It pumps out the solar energy from the air in the room and together with electrical energy consumed by compressor it gives out the total heating capacity which is accumulated in the water storage tank. 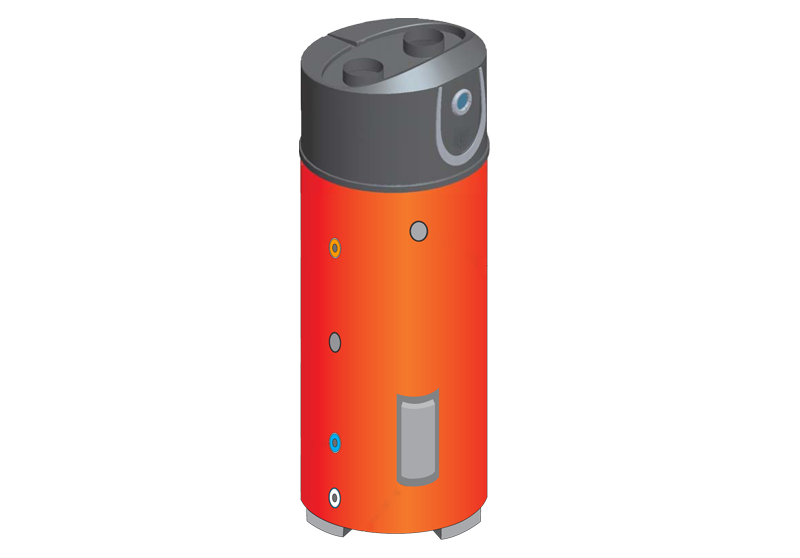 Evaporator is an air-refrigerant heat exchanger. In the evaporator the refrigerant is vaporized at low pressure and relative low temperature. 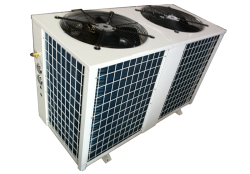 Because of vaporization the heat transfer form air to refrigerant starts. 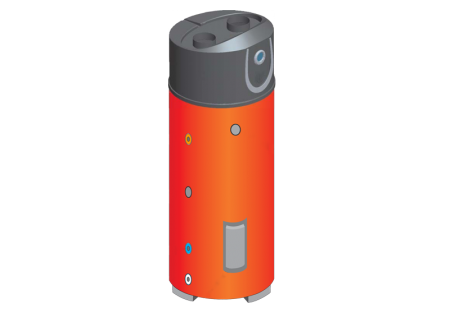 Vaporized refrigerant comes in the compressor where the pressure goes higher and also the temperature. From compressor the vaporized and high temperature steam goes in the condenser (refrigerant-water) where again the heat is transferred from refrigerant to water. The refrigerant is now in liquid shape idler high pressure. After it flows thought the expansion valve it reaches the basic shape and he process goes around again. The circuit is in process until the water temperature in the water storage tank reaches the set point. High COP due to adopt R410A and high efficient compressor of Japanese famous brand name. Displays error code when having problem. Pretty and compact in appearance. Stainless steel shell and various color galvanized sheet for option. Quiet running due to low speed fan. Duct length of 7 meters. Easy to install or maintain.